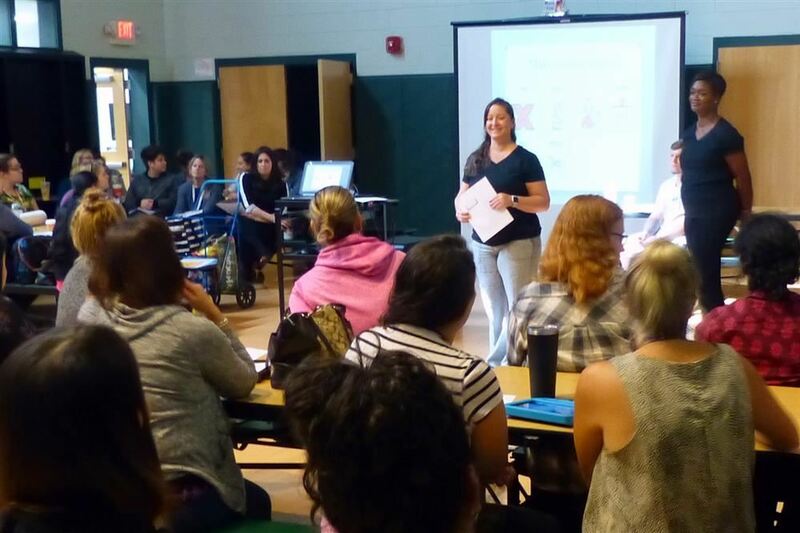 Future Foundations Academy Speech-Language Pathologist Jennifer Kogan, M.S., CCC-SLP, facilitated an interactive afterschool training for FFA and Bright Beginnings Learning Center teachers. The training focused on the functional and responsible use of Augmentative/Alternative Communication (AAC) equipment and an overview of best practices teachers need to be aware of when introducing technology into the classroom. "Advances in technology have provided teachers with more tools to use with students, and the workshop was designed to demonstrate how use new equipment effectively with students and respond to questions from teachers," said Ms. Kogan.